Out-of-hours, vending machines selling snacks and drinks are also available. Note: If you take china mugs away from the Café area, please ensure you return them promptly. Tacos, burritos, quesadillas, nachos, and salad, on Clerk Maxwell Road, each Tuesday and Thursday 12:00–14:00. “serving proper burgers made with local produce”, on Clerk Maxwell Road, Wednesday and Friday 12:00–14:00. 5 traders next to Department of Materials Science every Wednesday, 12:00-14:00. Have a sandwich van outside Roger Needham Building on Mondays, Wednesdays, Fridays at 10:00–12:00. Offering various sandwiches and Italian cakes, this van appears at the front car park weekdays at 12:30 (outside Roger Needham Building at 12:00). The Hauser Forum at the southern end of JJ Thomson Avenue houses the West Cafe, run by the University Centre. 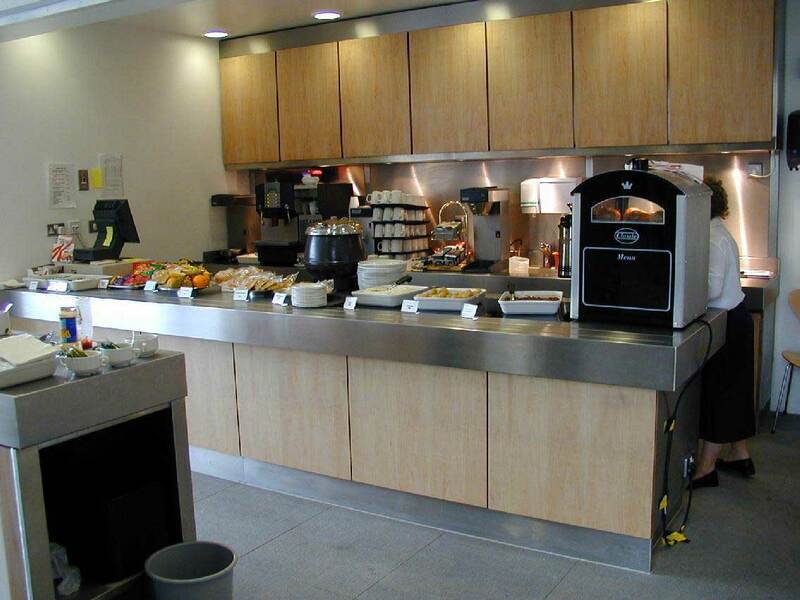 The Cavendish Canteen / Common Room Common Room can be found in the Bragg building of the Cavendish Laboratory. The main entrance is opposite reception. 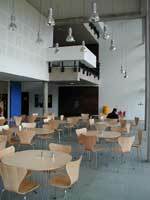 The cafe at the Centre for Advanced Photonics and Electronics (map) is available to anyone with a valid University Card. Take your card to the CAPE receptionist who can authorise it such that you can open the turnstiles yourself in future. Every Friday from 17:00 in the Common Room (FC24) on the first floor of the William Gates Building, “Happy Hour” is a time to relax after a week’s work, catch up with friends and colleagues, and meet other members of the department. Local beer, juices, soft-drinks and nibbles are available. Kitchenettes can be found on every floor, on every corridor. Most of them have their own kettle or coffee machine as well as a fridge. A dishwasher is located in the kitchen at at FC35 and microwaves in GS13 and FC35. The microwave ovens have been fitted with wall plugs with a built-in timer for additional safety: push the plug to activate power for the next five minutes. If using the microwave, always check you have set the timer correctly (never more than 5:00) and never abandon your food while it is being cooked. We have already twice had the fire brigade arriving because of unattended food in microwave ovens catching fire after 20 minutes! 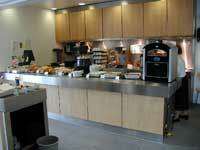 Churchill College (on Storeys Way) opens its dining hall to everyone for cateteria service meals. People who are not members of the College can pay by cash. First-time users should ask at Porters Lodge in Storey's Way for directions to the dining hall. Sainsbury's supermarket is a 1.4 km walk from the department, open 06:00–23:00 Mon-Sat and 10:00–16:00 Sun. Follow Madingley Road west, then turn north into Eddington Avenue. University Centre by the River Cam in Mill Lane, offers a wide range of catering and social facilities, open 9:00–24:00 every day except major bank holidays.